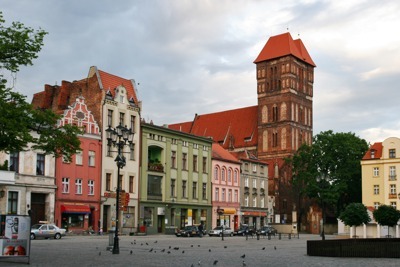 Torun is located in the Northern Poland and is the birthplace of the greatest and famous Nicolaus Copernicus. 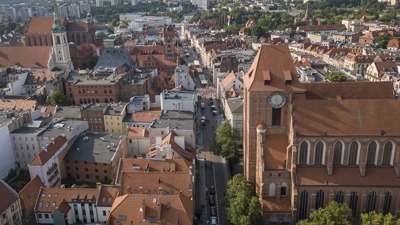 In the Middle Ages Torun was a prominent trade centre as a member of the Hanseatic League. Tn Poland the city is called "Krakow of the North". Torun is the most Gothic urban complex in Poland, one of the most important and crowded tourist centres of unique value, right after Krakow the second richest of original and best preserved historical monuments city in Poland. There is no better vehicle for organizing an excursion around the Torun city than the buses of 8rental.com, which will comfortably accommodate 65 people. Each tourist will feel really safe and comfortable during the trip, anyone can take advantage of all the ammenities that are in the cabin, which will make the trip even more comfortable and unforgettable. Visiting the company's website each can easily and quickly book one of these magnificent buses. Send us a quote and we will take your request further, and send you a booking confirmation in no time! 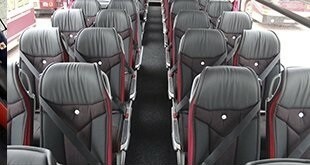 The trip will be unforgettable for every passenger due to the presence of many amenities in the cabin. Passengers can use the kitchen and toilet, watch a movie, listen to music or read a book by using the lamps installed above each seat in the saloon. 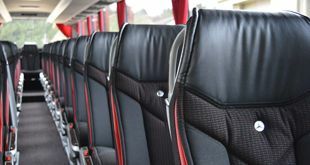 In short, the buses of this service are equipped with everything necessary to make the trip very comfortable. Traveling around Torun on a fast and modern bus will be very productive if a reliable and punctual driver is sitting behind the wheel. The drivers at 8rental.com are respectable, kind and so well-manered that traveling in an unfamiliar city will be convenient, safe and comfortable. They are very experienced the passengers' transportation, they speak at least one of the international languages and being locals they know the city roads as they know their hand fingers. You will see it for yourself by booking our chauffeur service. If you are still doubting whether to book a great with a driveer with us we advise you not to loose your time as you may end up regretting it! 8rental is waiting to offer you the best ever trip around the city of Torun!